Accutane is a strong prescription medication to help with acne. It's usually used when other treatments have failed. Accutane is approved by the U.S. Food and Drug Administration only for severe, recalcitrant nodular acne. "Nodules" are large, deep, inflamed pimples at least 5mm in diameter. 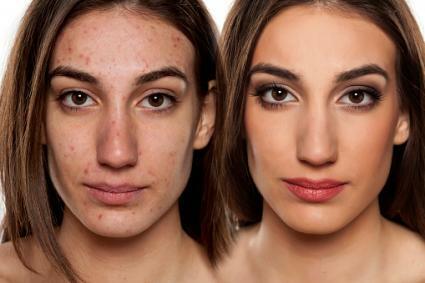 This type of acne is very unpleasant to look at and can leave significant scars. The official recommendation is that this drug should be used only in patients who have failed to find relief with other types of treatment. Other medicines, including topical treatments (applied directly to the skin) and antibiotics, should be tried first. This medication is manufactured by the pharmaceutical company Roche. Accutane is the brand name; the name of the actual medicine is isotretinoin. Isotretinoin is derived from Vitamin A. The drug comes in gelatin capsules, in doses of 10mg, 20mg, and 40mg. It's generally given as a single course over 15 to 20 weeks. Improvement may continue even after the drug is stopped. If necessary, a second course can be tried two months after the first. Although it's taken by mouth, this medication acts within the skin. It decreases the function of sebaceous glands and decreases keratinization of the skin. Sebaceous glands produce oils which help protect skin and keep it supple. Keratinization refers to the formation of the thin, but tough, outermost layer of skin. When sebaceous glands become clogged with dead cells from this layer, pimples develop. Accutane causes the sebaceous glands to make less oil and slows the turnover of cells in the top layer of skin. As a result, pimples are less likely to form. People who are allergic to components of the pill should not take this drug. For example, the capsules containing the medication are made with paraben, which can cause allergic reactions in some people. Although no one knows why, this medicine can cause psychiatric problems. Depression, psychosis, violent behavior, and even suicide attempts have happened in people taking it. People who already have a psychiatric diagnosis, or who have a family history of these types of problems, need special monitoring. In some cases, they will not be able to use the drug. Accutane should never be taken, or even handled, by a pregnant woman. Women of childbearing age must use a reliable form of contraception while using the drug. This is because Accutane can cause severe birth defects. Even a small amount can be dangerous. Some of these defects can be severe enough to cause death. Miscarriages are also more common, and premature birth have been reported in women who took Accutane during pregnancy. Because the risk of birth defects is so high, people who use this medicine must participate in a special program called iPledge. This program, approved by the U.S. Food and Drug Administration, requires special counseling on the risks. Female patients must pledge to use two forms of contraception, such as the pill plus condoms, and must have two pregnancy tests before beginning the drug. Women must also answer educational questions and have a pregnancy test before receiving each new prescription. All patients should have liver function, lipid levels, and glucose levels checked before starting the drug. Before filling a prescription, the pharmacist must check in with the iPledge system. Other reported adverse reactions include heart problems, muscle and back pain, dizziness, weakness, and many more side effects. Because Accutane makes changes in the skin, skin-related side effects are not uncommon. Dry skin can be a problem. There can also be hair loss, abnormal hair growth, sun sensitization, abnormal wound healing, and various types of rashes. Although this drug can cause very serious reactions, in many cases it works wonders on acne without causing any significant problems. For people with severe acne it may be worth the risk of side effects. If you're considering taking Accutane, talk with your doctor about what to expect. He or she can help you understand how the drug works and decide if it's right for you.